Books where authors work through big moral and political ideas are my favorite. Ever. I think back to when I first stumbled upon Nancy Kress’ Beggars in Spain trilogy, where she worked through her issues with Ayn Rand and our obligations to each other. Or Brave New World and the idea of whether happiness (be it drug-induced) is really enough. Or Do Androids Dream of Electric Sheep and questions of humanity. These are truly some of the best books I’ve ever been lucky enough to read, and they’ve had a huge impact on my thinking. 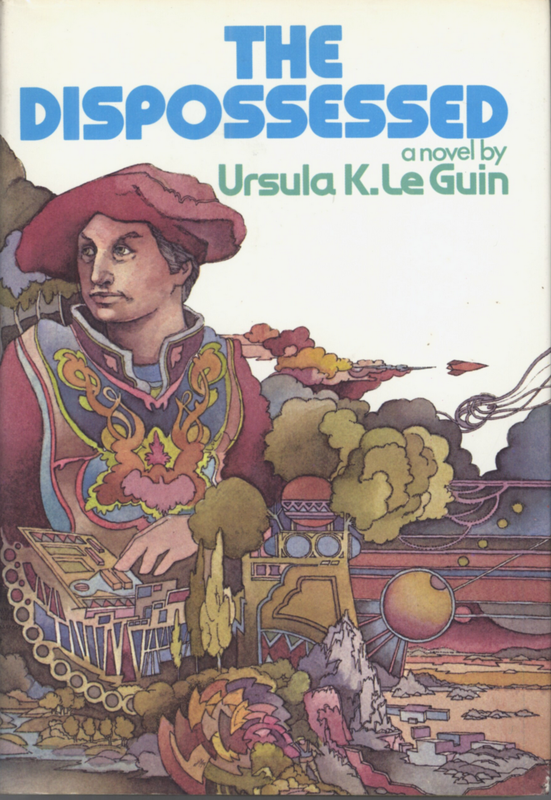 The Dispossessed is up there. In fact, it might just be one of my new favorites. I’ve read one essay so far and most certainly agree. This entry was posted in Book Reviews and tagged bibliophilia, fiction on November 10, 2014 by heathermichellewhitney.